In the summer of 2016 we updated this page with information from a comprehensive review of research on the use of nutritional supplements (or “nutraceuticals”) in the treatment of depression. Since then we have added information every few months. The authors of the review concluded that there was good data supporting the effectiveness of fish oil supplements and suggestive but not conclusive evidence in favor of SAMe and, to a lesser extent, folate (Sarris, et al; 2016). Elsewhere we have summarized data on the use of natural supplements for insomnia. 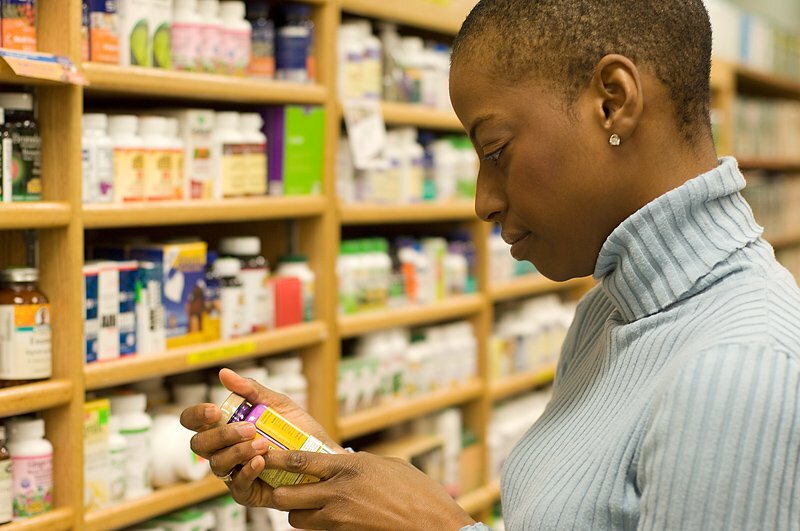 Nutritional supplements and vitamins are chemicals that are found in nature (note: supplements don’t have to be any more “natural” in terms of how they are made than prescription drugs, they just have to contain chemicals which exist in nature). Because they are found in nature they are not, in the United States, subject to review and approval by the Food and Drug Administration. Also, because they are found in nature, they tend to be safer than prescription drugs (although that is not necessarily always true) and, at least in our experience, the effects of nutritional supplements and vitamins tend to be more subtle than the effects of medications, which increases the importance of tracking outcomes carefully (mood charting). We believe in the value of supplements a great deal, but they are certainly not the right answer for everyone. What we have tried to do is summarize the available information on the supplements that have the most importance for those with mood disorders. A recent blog post on this site might also be worth reviewing. A 2008 comprehensive analysis of the available data, in a Cochrane Review concluded that there was modest evidence for the effectiveness of EPA or EPA + DHA in treating bipolar depression but not mania. A recent review suggested that the easiest way to get the required dose is with Viva Labs Ultra Strength Omega – 3 Fish Oil. Two capsules provided as much EPA as 8 capsules of other supplements. Although more expensive per pill, the supplement was no more expensive per mg of EPA. The dose of EPA you should look for is 1 gram per day. Our experience is that melatonin is an agent that is not a particularly effective sedative (in other words it doesn’t help that much putting you to sleep), however it can help to re-establish normal circadian (night/day) biorhythms. An alternative approach, that has no side effects at all involves calculating when to expose yourself to light use a jet lag bodyclock . Like most vitamins, B vitamins must be consumed in diet or supplements because your body needs them but cannot make them. Three of the B vitamins have a particularly important role in brain function in depression: pyridoxine (B6), folate (B9) and cobalamin (B12). In addition, thiamine (B1) deficiency, especially in people who drink heavily, can be associated with memory deficits, and in one small study thiamine supplementation was found to speed up response to serotonin antidepressants (SSRIs). with use or oral contraceptives, but it has generally not helped other people suffering from depression (Williams, Family Practice 2005). On the other hand, a number of the studies that have looked at using combinations of B vitamins to help prevent cognitive decline and memory problems in the elderly have included B6, which is why we included it here in the list of important B vitamins for the brain. A consistent finding in major depression has been a low plasma and red cell folate which has also been linked to poor response to antidepressants. Several studies have also found that supplementation with at least 500 micrograms of folate converted some antidepressant nonresponders into good responders. Although the review on nutritional supplements did not find convincing evidence for the effectiveness of folate supplements, there may be a particular circumstance in which some kind of supplement may be especially useful, some people have a genetic variant of the methylenetetraheydrofolate reductase (MTHFR) gene that puts them at greater risk of a deficit in folate in the brain. We have found that methylfolate supplements are more likely to be helpful in those with this genotype, which can be identified using a panel of genetic tests that we often use in patients who fail to respond to initial treatments of depression (the Genocept assay). Methylfolate is the active form of folate. Folate is the form found in the diet and in most over the counter supplements, but for people with the deficient MTHFR gene, they are not able to convert folate to methylfolate and transport it into the brain, where it is used to make many of the essential neurotransmitters that affect depression. B12 deficiency is one of the classic causes of a potentially reversible memory impairment. Most people receive adequate amounts from their diet (it is found in meats, fish, and chicken, but not found in foods from plants) but vegetarians (for obvious reasons) and those who are older than 50 years of age (because of reduced stomach acid and therefore reduced absorption) should take supplements. The role of B12 in minimizing cognitive decline is suggested by a study which followed several hundred people in their 70’s over an eight year period and found that cognitive decline was faster among those with the lowest blood levels of B12 (under 257 pmol/L) which was the case for 40% of the elderly people in the study (Morris, J Am Geriatr Soc 2012). Normally, people are not considered B12 deficient (and at risk for pernicious anemia) until levels go below about 148 pmol/L (200 pg/mL). The study suggests that it may be beneficial to maintain somewhat higher levels of B12. Similarly, a large placebo-controlled study in Holland of adults 65 and older suggested that blood levels of B12, particularly in its active form, holotranscobalamin, may indicate who can most benefit from supplementing with B vitamins. In this study, all participants had high homocysteine levels (12 to 50 micromol/L) although many were not actually deficient in B12 (the mean level was 257 pmol/L). After being given folic acid (400 mcg) and B12 (500 mcg) daily for 2 years, compared to placebo, there was a minor reduction in the decline in cognitive functioning. However, those who started the study with lower levels of holotranscobalamin (below 64 pmol/L) had more benefit from supplementation in terms of episodic memory performance (i.e., recall and recognition) and information processing speed (van der Zwaluw, Neurology 2014). The recommended daily allowance is 2.4 micrograms for most people, but higher doses of up to 500 mcg have been used to prevent heart disease. No upper limit has been established for B12. Since some older people lack the co-factor that facilitates absorption of B12 we sometimes find it useful to prescribe either B12 injections or an intranasal form of B12 (Nascobal). Not surprisingly, a number of studies have looked at B vitamin combinations as a way to prevent or minimize cognitive deficits in older patients. fatty acids in the upper range of normal, In fact, those with low omega 3 levels did not benefit from B vitamin supplementation. In general, the effects were more significant for DHA alone than for EPA the combined levels (Oulhaj, J Alz Dis 2016). further analysis of this study also found that higher blood levels of omega 3 fatty acids enhanced the beneficial effect of the B vitamins (Jerneren, Am J Clin Nutr 2015). In summary, it is reasonable in those concerned with cognitive decline to receive testing for the level of plasma homocysteine in your blood, and if this is elevated, it makes sense to take a combination of 800 mcg of folate (or one of the active forms of folate discussed above) along with 500 mcg of vitamin B12 (or Nascobal) and 20 mg of vitamin B6 plus fish oil. Vitamin D is a fat-soluble vitamin, unlike the B vitamins that we have been talking about, and fat-soluble vitamins generally require more care with dosing because they can accumulate in fat and reach toxic levels in the body. This means that vitamin D has a “therapeutic window” – take too much and you suffer adverse consequences just as you do if you have too little. In addition, there was some controversy about what constitutes a “normal” level of the vitamin in blood. This has largely been resolved and we now understand that there is a normal level for 25-hydroxy vitamin D, which is between 20 nanograms/milliliter to 50 ng/mL, but then there is a level between 12 and 20 nanograms/milliliter which may not be quite “normal” but where supplementation is unlikely to be necessary or beneficial and it’s really only those people below a level of 12 nanograms/milliliter who need and benefit from supplementation. All of this means that vitamin D supplementation really needs to be guided by blood tests and initiated only if there’s evidence of a deficiency. “In 2014, just over 3 percent of U.S. adults took more than 4,000 international units (IUs) of the vitamin daily, exceeding the upper limits of what is considered safe, the researchers said. In 2007-2008, only 0.2 percent did that. Morris MS, Selhub J, Jacques PF. Vitamin B-12 and folate status in relation to decline in scores on the mini-mental state examination in the framingham heart study. J Am Geriatr Soc. 2012 Aug;60(8):1457-64. doi: 10.1111/j.1532-5415.2012.04076.x. Epub 2012 Jul 12. PubMed PMID: 22788704; PubMed Central PMCID: PMC3419282. Oulhaj A, Jernerén F, Refsum H, Smith AD, de Jager CA. Omega-3 Fatty Acid Status Enhances the Prevention of Cognitive Decline by B Vitamins in Mild Cognitive Impairment. J Alzheimers Dis. 2015;50(2):547-57. doi: 10.3233/JAD-150777. PubMed PMID: 26757190; PubMed Central PMCID: PMC4927899. van der Zwaluw NL, Dhonukshe-Rutten RA, van Wijngaarden JP, Brouwer-Brolsma EM, van de Rest O, In ‘t Veld PH, Enneman AW, van Dijk SC, Ham AC, Swart KM, van der Velde N, van Schoor NM, van der Cammen TJ, Uitterlinden AG, Lips P, Kessels RP, de Groot LC. Results of 2-year vitamin B treatment on cognitive performance: secondary data from an RCT. Neurology. 2014 Dec 2;83(23):2158-66. doi: 10.1212/WNL.0000000000001050. Epub 2014 Nov 12. PubMed PMID: 25391305. Williams AL, Cotter A, Sabina A, Girard C, Goodman J, Katz DL. The role for vitamin B-6 as treatment for depression: a systematic review. Fam Pract. 2005 Oct;22(5):532-7. Epub 2005 Jun 17. Review. PubMed PMID: 15964874.